New show Alert: "Obscura" Opens October 6th! 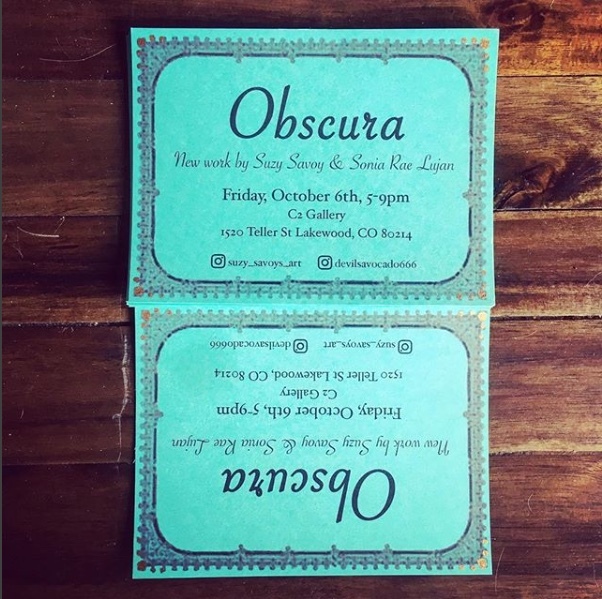 "Obscura" will feature both new and previous works from myself and my good friend Suzy Savoy. Come have a drink with me and see some art! This show will be part of the 40 West Arts District's First Friday art walk, so you can make a night of it! October 6th, 5-9 pm, C2 Gallery, located in the 40 West Arts District. See ya there!